In stock! - Order now. 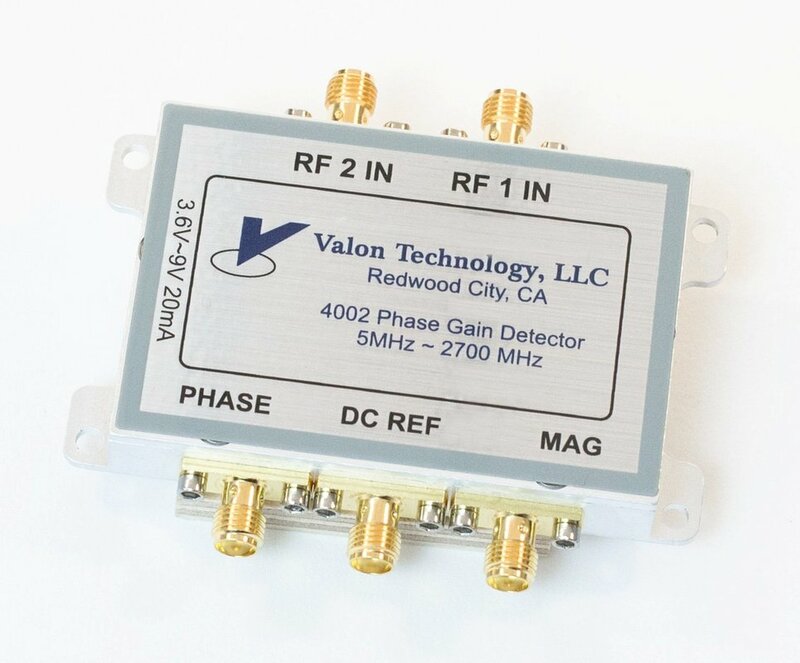 sThe Valon 4002 Phase Detector module Independently measures both Gain/Loss and Phase between two signals. It is a perfect complement to all our Frequency Synthesizer modules and ideal for many experimental RF applications. The 4002 enhances the performance of the AD8302 base core. Precision machined housing ensures high isolation and eliminates channel cross talk guaranteeing phase detection accuracy and amplitude dynamic range. Small size and low power consumption makes 4002 suitable for installation in any setup.